Two U.S. lawmakers pressed a federal agency on Monday to say how much taxpayer money went into testing the proposed LightSquared network, a private 4G system that the FCC ultimately rejected because it would interfere with GPS. The U.S. Federal Communications Commission wants to ban LightSquared's plan to build a national LTE network in addition to its existing satellite service. The LTE system would operate on spectrum next to the band used by GPS (Global Positioning System). Two rounds of tests last year showed interference between the network and GPS, according to the National Telecommunications and Information Administration (NTIA), which recommended that the FCC block the project. On Tuesday, Senator Charles Grassley of Iowa and Representative Michael Turner of Ohio asked the NTIA how much taxpayer money was spent on testing LightSquared's network and how many government employees worked on the tests. They also asked whether the government would ask to be reimbursed for those costs. In addition, the senators asked whether the FCC had requested that the NTIA spend money on the tests without reimbursement, a question that evoked earlier concerns by Grassley and others about possible preferential treatment for LightSquared at the FCC. They want answers by April 19. Some critics have accused the agency of cutting corners in LightSquared's approval process in return for political contributions from the company's backers. Grassley has been a longtime critic of the FCC's handling of the affair and is blocking the confirmation of three nominees to the commission to try to get information from the agency about its handling of LightSquared. Both he and Turner are Republicans, while FCC Chairman Julius Genachowski was appointed by Democratic President Barack Obama. The letter raised concerns about who would pay for the tests in light of the fledgling carrier's financial predicament. LightSquared has already spent billions on the LTE plan but can't start collecting revenue from the network until it's built. Philip Falcone, the head of parent company Harbinger Capital Partners, has said the company is considering bankruptcy for LightSquared. "If LightSquared does indeed declare bankruptcy, our concern is that the Federal government will be unable to recoup the taxpayer dollars it has expended funding testing on LightSquared's network," Grassley and Turner wrote. Meanwhile, two other senators reportedly are urging Genachowski to seek alternative spectrum where LightSquared could deploy its network safely. Sen. John Kerry, Democrat of Massachusetts, and Sen. Lindsey Graham, Republican of South Carolina, wrote to Genachowski to ask him to work with industry and other agencies to find other frequencies for the carrier to use, according to a report on the blog The Hill. It said their letter was dated March 29. 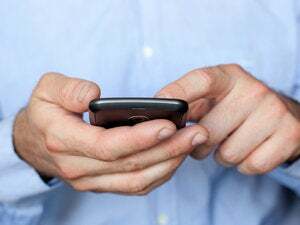 LightSquared's planned wholesale mobile data service would boost wireless competition and serve the public interest, Kerry and Graham said, according to the report. The carrier itself has suggested the government assign it other frequencies farther from the GPS band. However, a spectrum swap probably would take a long time and involve a complex new decision-making process by the FCC, according to industry observers.